We love the whole idea of consignment. It makes sense! We’re delighted that you’ve taken on the adventure of helping people buy and sell a variety of merchandise while encouraging them to reuse and recycle. 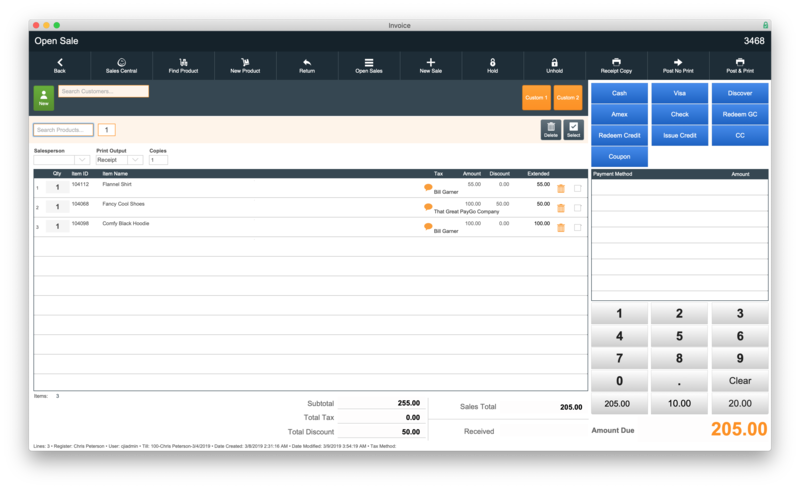 We developed tools within our PayGo POS software just for you. 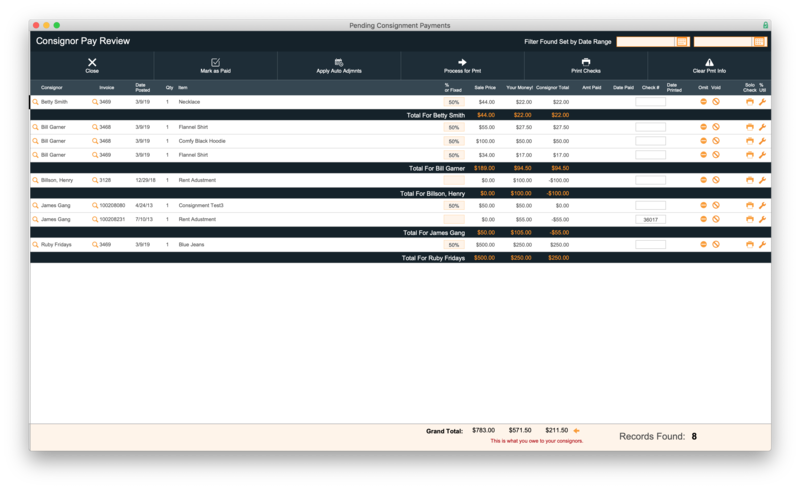 Many POS features for the typical retail shop don’t apply in your world. You need a few special features. The nerds at PayGo developed some mighty nifty solutions for you, the consignment shop owner! 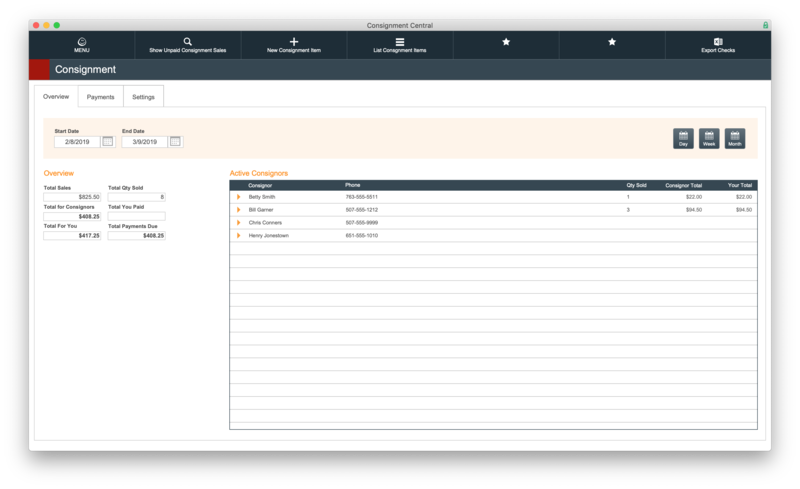 PayGo’s POS software tracks consignors, consignees, inventory, and payouts. You’ll be able to print price labels to get that merchandise on the floor – quick and easy. 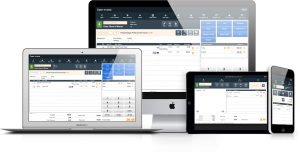 When it’s sold, you can run inventory and sales reports. 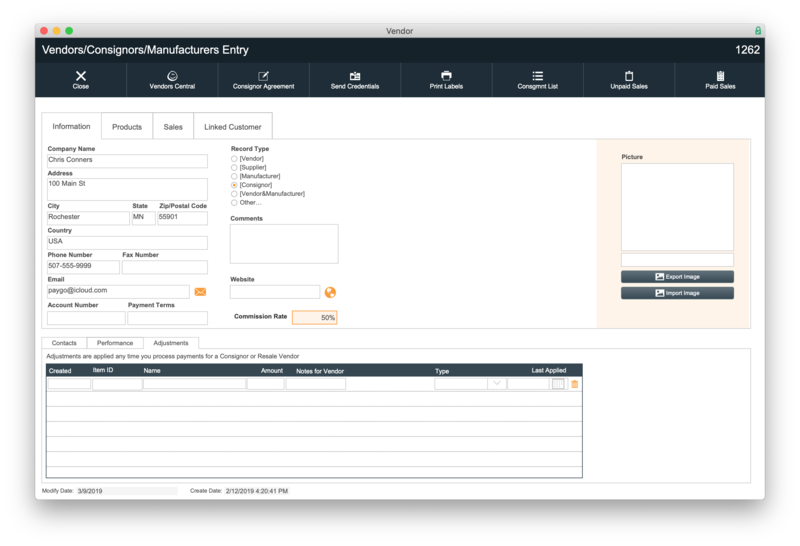 Entering products is super simple. 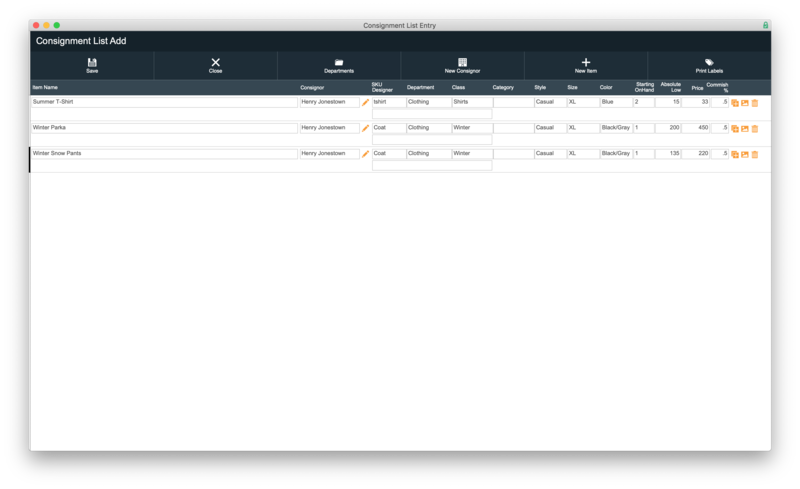 And if that consignor has lots of items... use the list entry screen. Entering and tracking Consignors takes only minutes. 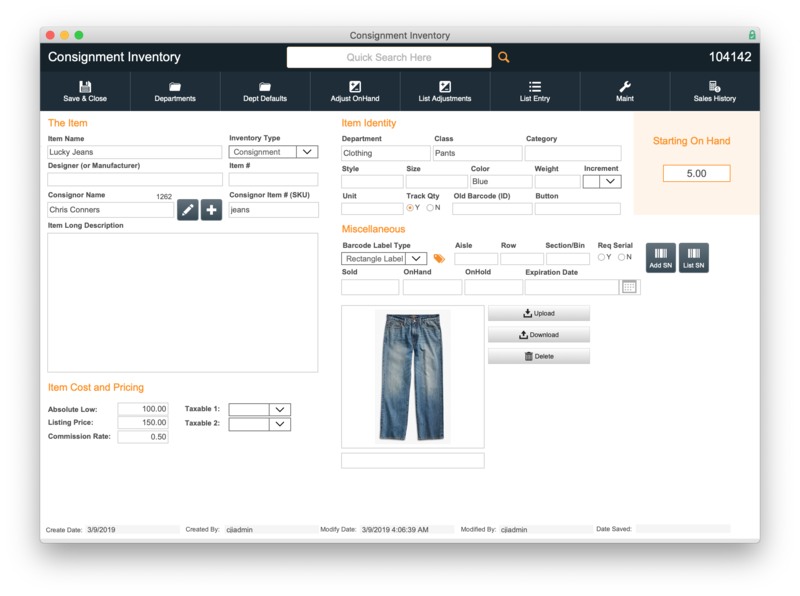 Our Point of Sale software is Great for Consignment Stores! With PayGo’s consignment features, you can choose to add products for consignors OR you can make them do it with our PayGo Consign module. PayGo not only diligently tracks consignment item sales, but it allows you to pay all consignors at a given time OR you can choose to pay your consignor when they come into the store. We give you options. Options are slick. Keep your customers coming back by reminding them that you have what they want and by giving them the love they deserve. You’ll be able to automate gifting when you use PayGo’s loyalty program. Don’t forget about PayGo Consign. It’s an online portal that connects your consignors to your PayGo. Give them the power to submit products and check sales from the power of their own computer or mobile phone.